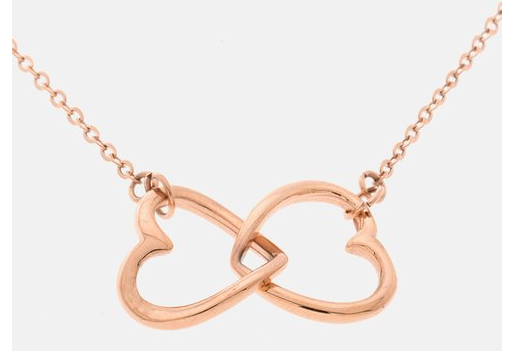 Infinity Double Heart Necklace Only $9.99 Shipped (Reg. $49.99)! You are here: Home / Great Deals / Infinity Double Heart Necklace Only $9.99 Shipped (Reg. $49.99)! How pretty is this necklace? This would make a lovely gift for a loved one! You can currently snag this Infinity Double Heart Necklace for only $9.99 shipped (Reg. $49.99)!